Today’s bride doesn’t want to wait weeks after the big day to get her pictures. Let Picsera help you deliver the images and get them posted to your social media sites in just days after the event. Select a bundle size below to get pricing. Say goodbye to sleepless nights editing wedding images! 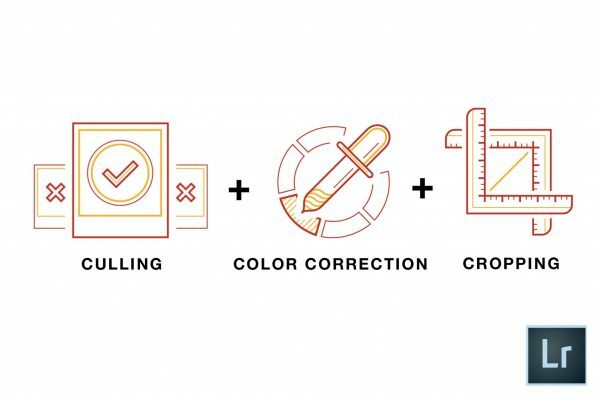 This bundle has all the wedding photo editing services you need to get started: culling (selecting the best shots), color correction, cropping, and straightening. Just send us your photos using smart previews and a Lightroom catalog, and our team of experts will do all the post production work for you. The process is simple– just choose the amount of images you’d like edit and start a job. Once you check out, you’ll have access to your personalized dashboard that will walk you through the steps to upload you photos fast! Uploading thousands of high resolution RAW files can take multiple hours. To prevent this long uploading time, you’ll send us a Lightroom catalog and Smart Previews. This type of smaller DNG files, will allow you to upload your photos way faster and provide you the ability to edit your images while being disconnected from your hard drives holding the SOOC (Straight out of Camera) RAW files. This service is specifically designed for Adobe Photoshop Lightroom versions 5 or greater. If you are using Lightroom version 4 or older or if you use Bridge, please see the Wedding bundle for Bridge. Using the Smart Previews and the Lightroom catalog, we’ll color correct your images and will return the Lightroom catalog containing all of your color corrected photos.